Moreover, both sides have made astonishing progress in holding high-level negotiations about a slew of possible deals during the second Eastern Economic Forum that was just held in Vladivostok, including those related to natural resources (such as a $10 billion Japanese investment in Rosneft), hydroelectricity, and broader economic cooperation. President Putin and Prime Minister Abe also held one-on-one talks for the second time this year, demonstrating that both leaders place a lot of value in their countries’ renewed relations and proving that they’re truly committed to the long-term betterment of bilateral ties. The only remaining stumbling block to the full-scale invigoration of what might turn out to be one of Asia’s most surprising partnerships yet (though not one which was unpredicted by any means, as the author foresaw this occurring late last year already) is the “Kuril Islands dispute”, which is essential to resolving as soon as possible so that Moscow and Tokyo can finally reach the level of relations that both sides are genuinely aspiring towards. Without getting into the nitty gritty details of each party’s approach to the issue, it’s evident that are seemingly ‘insurmountable’ contradictions between their objectives, with Russia wanting to retain its territorial sovereignty while Japan wants to reclaim a few of the Kuril Islands. Despite the obvious challenge that this dichotomy presents to all diplomats involved in dealing with this issue, there’s actually a novel and innovative solution which could satisfy both sides’ desires and represent more of a mutually beneficial breakthrough than a one-sided compromise. The author published a detailed research report a few weeks ago for the Moscow-based Katehon think tank about how “Russia’s Diplomatic Balancing Act In Asia Is To The Benefit Of Its Chinese Ally”, in which a proposal was made to establish a Northern Islands Socio-Economic Condominium (NISEC) between Sakhalin Oblast and Hokkaido Prefecture, which would naturally include the Kuril Islands but not result in any cession of territorial sovereignty on either Russia or Japan’s end. Instead, a transnational sub-state arrangement would be made whereby the free movement of people, goods, services, and investment capital between these two administrative units would be allowed for official residents of their territories (around 500,000 in Sakhalin Oblast and about 5 million in Hokkaido). 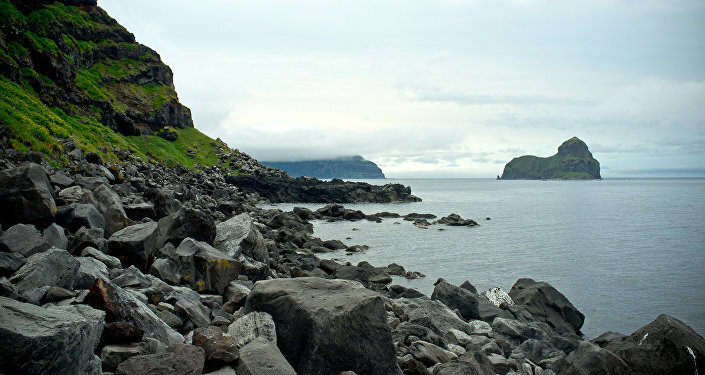 It wouldn’t give each side the right to indefinitely remain on the other’s land, but it would serve as a facilitating incentive for taking bilateral relations to the next level, thus leaving behind the bitter legacy of the “Kuril Islands dispute” through a mutually acceptable arrangement that respects and enhances the socio-economic interests of both actors. As part of NISEC, Moscow and Tokyo would acquire the rights to promote their socio-cultural interests all throughout their counterpart’s pertinent territory, which would mean that the Russian and Japanese languages could experience a renaissance in Hokkaido Prefecture and Sakhalin Oblast respectively. This would satisfy both Great Powers’ prestige and make it easier for them to conduct business with one another, as well as giving both of their comparatively lesser developed regions a unique opportunity to spearhead the rest of their country’s outreach to their neighbor. By speaking the same language, Russian and Japanese entrepreneurs would have an easier time cooperating on joint ventures within NISEC, the rest of the Far East and the Japanese Home Islands, and perhaps even as far away as ASEAN and elsewhere. Sakhalin Region and Hokkaido Prefecture are both underpopulated, something that the national governments in Russia and Japan would like to change. Enterprising companies from both countries could be enticed to move some of their personnel and facilities to their country’s portion of NISEC in order to get a head start on accessing their counterpart’s marketplace via the socio-economic arrangement in place between them. Russia’s new program that gives away free land to any of its nationals who settle in the Far East and live in their designated plot for at least five years could be creatively utilized by Japanese recruiters. The companies that they represent could offer to build affordable housing for their future Russian workers in exchange for them signing long-term employment contracts for competitive wage rates. This would serve the advantage of both sides since the Japanese wouldn’t go through as much capital expenditure as they otherwise would have in buying land for their local workers’ living facilities, while the Russians would be able to own their new Japanese-built homes after living there for five years. The positive PR that the Japanese investors would receive for such an initiative would be priceless and could generate a lot of goodwill that might later serve as a springboard for launching their operations further afield in the rest of the Far East and perhaps the entirety of the Russian Federation one day. Russian entrepreneurs would be attracted to NISEC since they’d rightly envision that Hokkaido Prefecture is their privileged gateway to accessing the rest of the Japanese Home Islands. On the flip side, their Japanese counterparts would feel similarly as regards Sakhalin Region and the rest of the Far East and the Russian Federation as a whole. Both subnational administrative units would thus function as gateways for the other in penetrating their larger targeted marketplaces (or resource reserves, as the Japanese likely see the Far East as being), with the NISEC territories being the magnet for concentrated investment that would later spill over into the rest of the region. Russia wants to diversify its Far Eastern investments and bring on as many partners as possible, which could stimulate friendly economic competition between all players and ultimately work out to the region’s benefit by increasing the efficiency of each project and lowering its costs. If some of the energy from the heated Chinese-Japanese military rivalry in the East China Sea could be redirected towards a much more peaceful form in developing the Far East, then both sides would assuredly win and might even symbolically undertake joint ventures with the other as a first step in toning down their tensions. Even if this wishful scenario doesn’t transpire, then Japan could prove to be a valuable partner in modernizing the insular region of the Far East and turning it into a logistics and transshipment node for the Northern Sea Route through the Arctic Ocean. From Tokyo’s perspective, Japanese companies would profit immensely by linking rich Russian resources with affordable ASEAN labor, and the spread of Japan’s soft economic influence in the direction of the Northern Sea Route would give it a strategic advantage that no other Asia-Pacific country aside from Russia itself would have. There’s also the impression that there are no other competitors in this extreme northeastern corner of Asia, unlike in its much more crowded and cut-throat southeastern reaches, so Japan might be compelled to take advantage of this while it still can and accelerate the pace and spread of its investments. Furthermore, supporters of Japan’s recently assertive foreign policy might take pleasure in knowing that their country’s influence is spreading throughout all parts of Eastern Asia including its remote northeastern reaches, and this boost in prestige alone might be enough to make NISEC acceptable to even the most nationalist holdouts in Tokyo. 1. Russia and Japan hold a series of comprehensive and high-level consultations with the other in hashing out the specific details for NISEC, after which the necessary document (most likely attached as part of a World War II peace treaty) is signed and this ambitious proposal is implemented. 2. NISEC’s terms are expanded after some time to include the entire Sea of Okhotsk rimland, which would thus involve Kamchatka Krai, Magadan Oblast, and Khabarovsk Krai in this arrangement. 3. NISEC is then enlarged once more to include the entirety of the Far Eastern Federal District, which thus brings Primorsky Krai, the Jewish Autonomous Oblast, Amur Oblast, Sakha Republic, and Chukotka Autonomous Oblast into the format, thereby extending the condominium’s scope to include the Arctic littoral and continental hinterlands and encouraging the Japanese investors to engage in a friendly economic competition with their Chinese counterparts already present in the area. 4. Having managed a de-facto free trade agreement between the similarly sized populations of Hokkaido Prefecture and the Far Eastern Federal District and worked out the kinks between them during this period, Russia and Japan could then dramatically scale up their economic relations by pursuing a de-jure free trade agreement between both of their countries via the Eurasian Economic Union framework and finally taking their relations to the strategic level of partnership that both sides have been striving for.